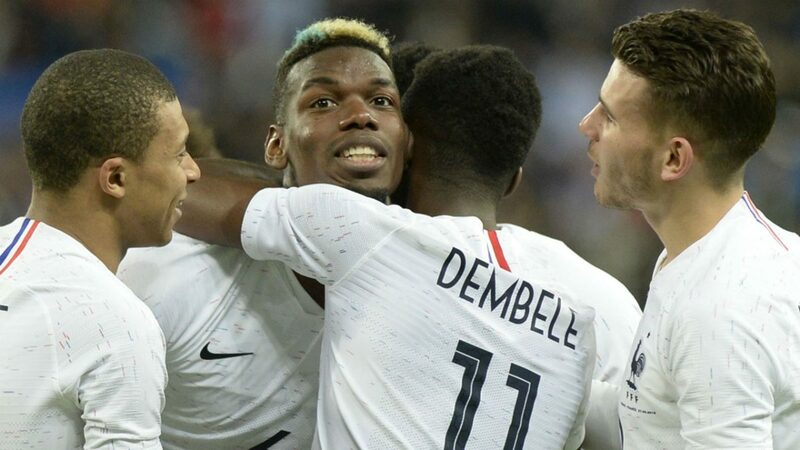 Barcelona are reportedly on the verge of signing Manchester United star Paul Pogba as Mundo Deportivo reported last night that the Frenchman has accepted a five-year contract the Blaugranas. Though his move to Camp Nou is subjected to United’s approval, he could be heading to Barcelona before the end of the day. Just as Valverde is set to welcome a France international player, reports suggest that he could be saying his goodbye to another Frenchman as Ousmane Dembele is on his way to joining Arsenal later today. According to the Daily Mirror, Arsenal boss Unai Emery has offered £89m deal to the Blaugrana and that seems to be too much to be ignored by the Spanish club. Dembele joined Barcelona from Monaco last summer for a huge price but he failed to justify his price tag, no thanks to his early injury which ruled him out of action for many months. Should everything work out as planned, the youngster could be Arsenal’s last summer signing before the close of the current transfer period. As for Paul Pogba, the Catalans will need to do a lot to convince Mourinho to let go of the playmaker, considering the fact that he hasn’t gotten the high-quality player he wants before the start of the coming season. Though he wasn’t on good terms with the playmaker towards the end of last season, Mourinho couldn’t afford to sanction his move to Barcelona except he gets at a capable replacement for him before transfer deadline day.